Each year fires occurring during the winter claim the lives of over 900 people, injure 3,575 more, and cause over $1.9 billion in property loss. According to the United States Fire Administration (USFA), there are simple life-saving steps you can take to ensure a safe and happy holiday. By following some of the outlined precautionary tips, individuals can greatly reduce their chances of becoming a holiday fire casualty. • Christmas Tree Fire Hazards - Special fire safety precautions need to be taken when keeping a live tree in the house. A burning tree can rapidly fill a room with fire and deadly gases. • Selecting a Tree for the Holiday - Needles on fresh trees should be green and hard to pull back from the branches, and the needle should not break if the tree has been freshly cut. The trunk should be sticky to the touch. Old trees can be identified by bouncing the tree trunk on the ground. If many needles fall off, the tree has been cut too long, has probably dried out, and is a fire hazard. • Caring for Your Tree - Do not place your tree close to a heat source, including a fireplace or heat vent. The heat will dry out the tree, causing it to be more easily ignited by heat, flame or sparks. Be careful not to drop or flick cigarette ashes near a tree. Do not put your live tree up too early or leave it up for longer than two weeks. Keep the tree stand filled with water at all times. 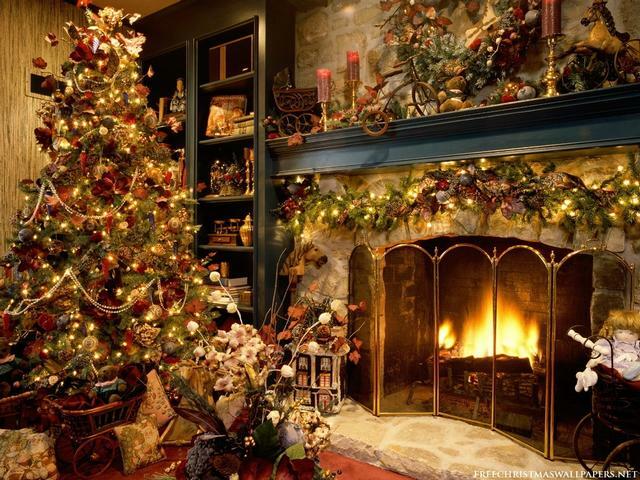 • Disposing of Your Tree - Never put tree branches or needles in a fireplace or woodburning stove. When the tree becomes dry, discard it promptly. The best way to dispose of your tree is by taking it to a recycling center or having it hauled away by a community pick-up service. • Maintain Your Holiday Lights - Inspect holiday lights each year for frayed wires, bare spots, gaps in the insulation, broken or cracked sockets, and excessive kinking or wear before putting them up. Use only lighting listed by an approved testing laboratory. • Do Not Overload Electrical Outlets - Do not link more than three light strands, unless the directions indicate it is safe. Connect strings of lights to an extension cord before plugging the cord into the outlet. Make sure to periodically check the wires - they should not be warm to the touch. • Use Only Nonflammable Decorations - All decorations should be nonflammable or flame-retardant and placed away from heat vents. • Never Put Wrapping Paper in a Fireplace - It can result in a very large fire, throwing off dangerous sparks and embers and may result in a chimney fire. • Artificial Christmas Trees - If you are using a metallic or artificial tree, make sure it is flame retardant. • Avoid Using Lit Candles - If you do use them, make sure they are in stable holders and place them where they cannot be easily knocked down. Never leave the house with candles burning. • Never Put Lit Candles on a Tree - Do not go near a Christmas tree with an open flame - candles, lighters or matches.